Can I share two? I loved them so much! The first is Spinning Silver by Naomi Novik. I absolutely loved her book, Uprooted, and this didn't disappoint. It's loosely inspired by Rumpelstiltskin, and is a richly imagined and beautifully spun story set in a Russian winterland – if you love classic folk and fairytales, you'll love this. I also just finished The Girl in the Tower by Katherine Arden, the second book in the Bear and the Nightingale series. This is an enchanting novel following Vasya, a remarkable young woman who blazes her own trail, from the backwoods of medieval Russia to the court of Moscow. Blending elements of magical realism and Russian folktales, this series is an instant classic. I'm travelling to Russia in January (inspired by my journeys in books), so I'm indulging in all the Russian inspired stories and folktales! All Enid Blyton books. I especially loved the Malory Towers and Famous Five series. I also have a special love for Alice in Wonderland and collect different covers and editions of it. We are proud to be a locally owned and operated book store. We love recommending our favourite books to customers, so if you aren't sure what to read next, come and have a chat to our friendly staff or browse through our Blind Date with a Book selections. 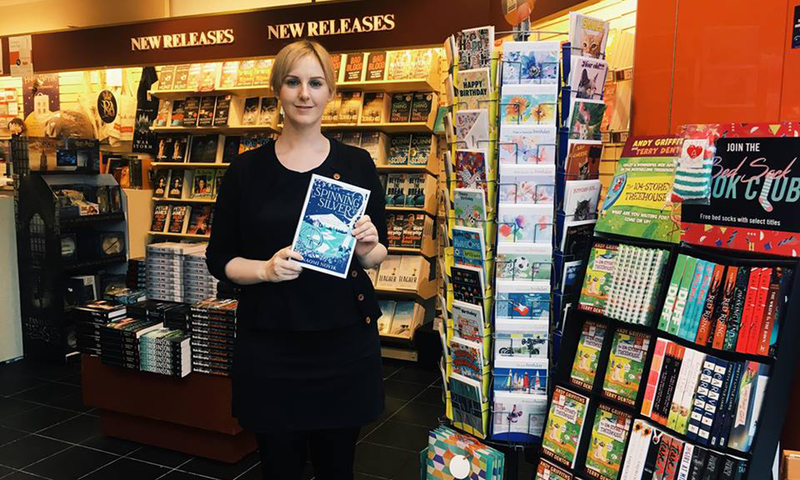 We also love to engage with the book community in Joondalup through our Books at Bars, Meet the Author and YA Book Club events, which are the highlights of our work. Do you have a Book of the Month – if so, what’s so special about it? Our Children's Book of the Month for August is The Peski Kids: The Mystery of the Squashed Cockroach by R. A Spratt. This is from the author of the popular Friday Barnes Girl Detective series and is about three squabbling siblings, one all too perfect next-door neighbour, a missing mum, a bumbling dad, a kooky cockroach mystery and an eccentric country town. What could possibly go wrong? A very funny read. I also just finished Hive, by A.J Betts, a local Perth author. I raced through it in two days, wanting to find out more about the incredible world she had built and the backstory of the characters who inhabited it. Highly recommended! Do you have any upcoming events/in-store book signings? Lots! Saturday August 11 is Love Your Bookshop Day, which we'll be celebrating by giving customers a spin at our new prize wheel, with lots of exciting goodies to be won! We'll also have a kids’ activity station and delicious nibbles. Then we have Books at Bars with Chris Hammer and our monthly YA Book Club. We are also super excited to be hosting Liane Moriarty, Markus Zusak and Matthew Reilly - it's going to be a spectacular end of the year! Head to our Facebook page Dymocks Joondalup or website to find out more.